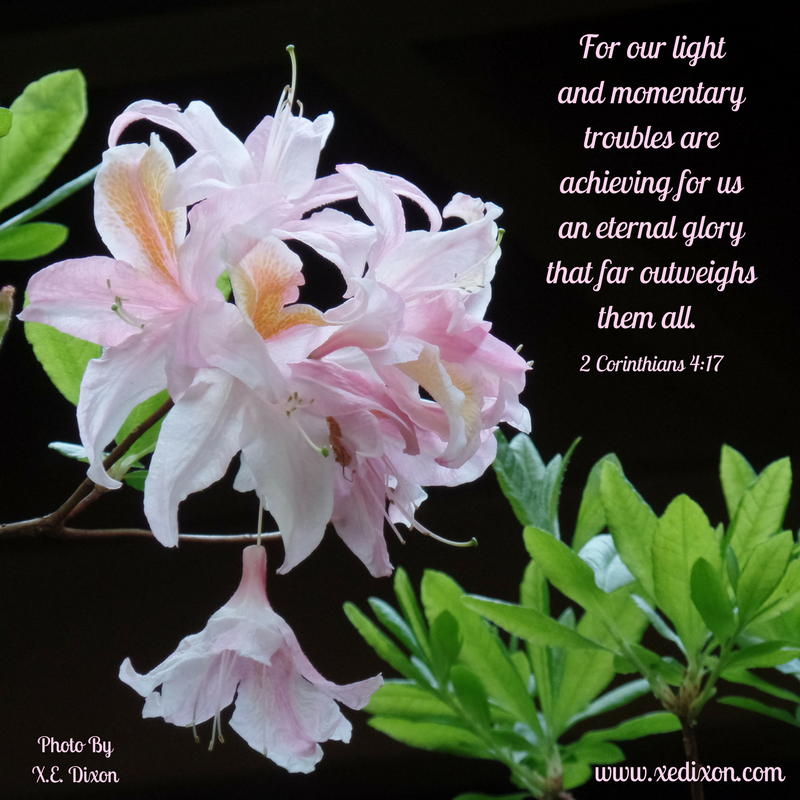 This entry was posted in Encouragement and tagged Encouragement, Intimacy with Christ by Xochi E. Dixon. Bookmark the permalink. Colleen, thanks for your continual and loving encouragement. I thank God for you, Sister. To God be the glory, the honor, and the praise! Hallelujah! To God be the glory! You are welcome, Brother Joseph. Beautiful post. I teared up about the forgotten sailor. Thankful, our heavenly Father knows each of us by name. This is powerful, “Because of our new life in Christ, we can leave a legacy of faith that points others to His everlasting hope.” Thank you. Karen, it was heartbreaking to think about that sailor and a blessing to be able to remember that God knows our names now and forever. Thanks for your words of encouragement, Sister. What wonderful and encouraging words. As I care for my aging mother, feeling overwhelmed and saddened by her decline, I often feel forgotten and alone. Thank you for reminding me that we are never forgotten. We are held. God bless you! Keep writing for His glory. Eileen, thanks for inspiring others by being a blessing to your mother. Have you read As My Parents Age by Cynthia Ruchti? I shared a few stories from the time I had the privilege of serving as my mom’s caregiver. There are other stories shared that encourage readers who are caring for aging parents. I wish I would have had this book before I stepped in to care for my mom. But, I am grateful God is using what He taught me through the experience to help others. I am grateful we are connected through my blog, Sister. I look forward to growing with you, Sister. I pray the Lord will continue to bless you with loving reminders of His unending love for you, and His constant and powerful presence. No, Sister. We are never alone. Hallelujah! I have a different side of this story. I was brought up Catholic and proud of it. My whole life I have been taught and believe in life after death. Our body is just a shell, our spirit continues to live. So I do not go and visit any of my loved ones at the commentary! I continue to honor them in spirit and truly believe that not going to visit their shell is not that you have forgotten them. Luke 24: 5-7 “Why do you seek the living, amongst the dead”? He is not here, he has risen! I totally agree, Amanda. My husband and I know our loved ones who have placed their trust in Christ are secured in His promise of eternal life with Him in Heaven. We also know people grieve differently and have different ways in which they honor loved ones who have passed away. His family is big on honoring the memory of soldiers by placing flags on their graves. Although my family never did this, I enjoy blessing him by honoring this tradition. The sight of the World War 1 & 2 soldier’s neglected grave marker reminded me that our time on this earth is limited. It made me think of how we will all be forgotten one day. And it grieves my heart to know there are people who feel alone, forgotten, and invisible on this side of eternity. I pray God will give us eyes to see the hurting, to reach out to them in love, and to remember them when they are not around. As one who has experienced isolation, it is a wonderful blessing when people assure me I’m not forgotten. I pray I will do the same for others. Thank you for sharing your heart and for being one who makes me feel loved and valued on this side of eternity. I love you and am praying for you, precious sister in Christ.